If your application process requires requesting 1 or more letters of recommendation or reference, here is what to do. 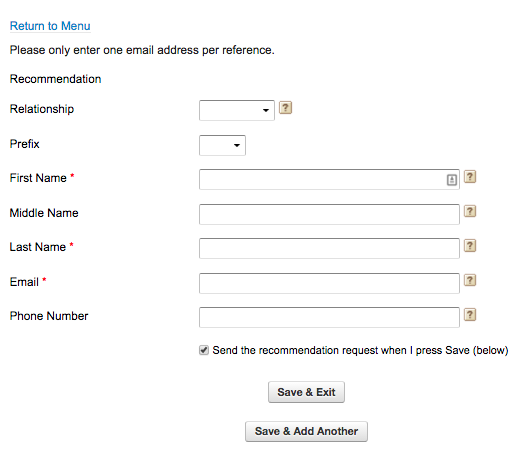 Each application form has a main menu. The first time you enter your application, you may not see it, but by clicking Return to Menu at the top of your application form, or by saving, logging out, and logging back in, you will be brought to the Main Menu. 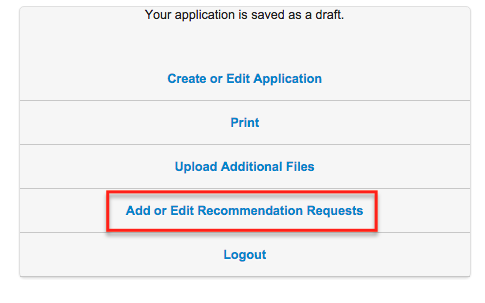 Here you should see a button 'Add or Edit Recommendation Requests' (or some variation thereof). 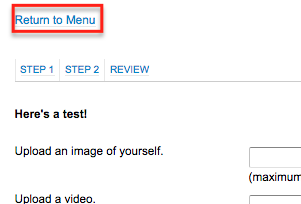 Clicking that button will bring you to the recommendation request module. 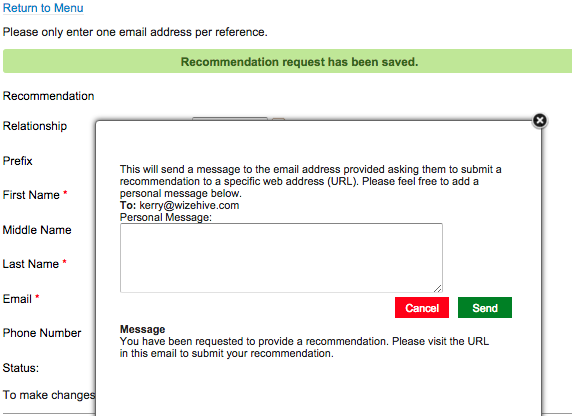 Here, you can add a personal message to your recommendation before clicking Send. Note that it is strongly recommended to contact your recommender from your personal email before sending this request, in order to (a) verify he/she is willing to complete the recommendation; and (b) notify him/her that a recommendation request will be coming via email. It is sometimes possible to edit a request that has been made already. This depends on the settings that your organization has set up. 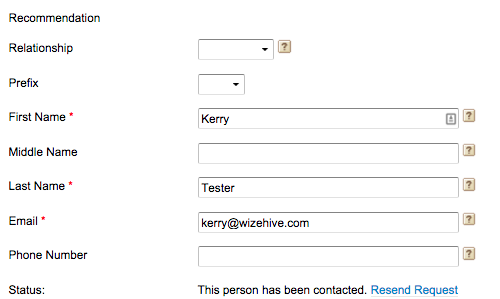 If it is possible, then the fields will appear editable in your form. You can edit them and press the Resend Request button. If you are experiencing any difficulties, please see My recommender said he/she didn't receive a recommendation request.